Our Special Form policy provides coverage for risk of direct physical loss of your dwelling unless it is otherwise excluded. 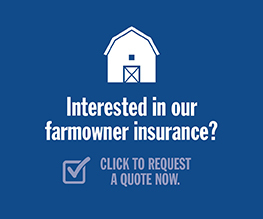 Your contents are protected from the perils listed under the Broad Form Farmowners coverage. You may choose to broaden coverage on specific property (i.e. jewelry, furs) through the Scheduled Personal Property endorsement. Personal property replacement cost is also available.